My grandfather was the one who got me hooked on fishing. He taught me everything I know about reeling in the big ones. Nowadays there's a lot of fancy technological stuff you can use to try and catch a fish - from underwater radar to lures with blinking lights. But you really don't need any of that baloney! 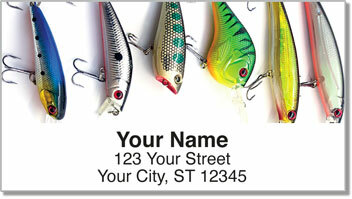 In my tackle box you'll find the vintage fishing lures Grandpa passed on to me. They worked back then and the fish are still biting today. 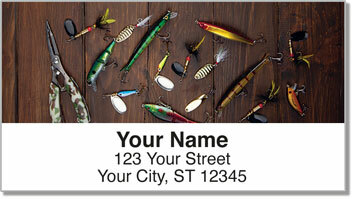 Lucky Fishing Lure Address Labels from CheckAdvantage are the perfect choice for anglers of all kinds. Use them to make preparing letters and packages fast and easy thanks to a convenient self-adhesive backing. 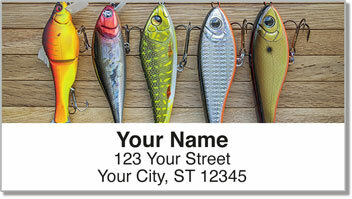 You can also use them to mark all sorts of personal property. 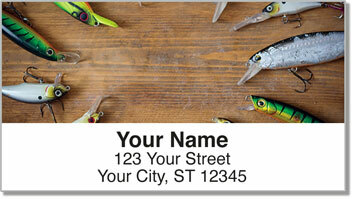 Get your very own Lucky Fishing Lure Address Labels today! They're also available as matching checks!